While artificial intelligence (AI) has become widespread, many commercial AI systems are not yet accessible to individual researchers nor the general public due to the deep knowledge of the systems required to use them. We believe that AI has matured to the point where it should be an accessible technology for everyone. We present an ongoing project whose ultimate goal is to deliver an open source, user-friendly AI system that is specialized for machine learning analysis of complex data in the biomedical and health care domains. 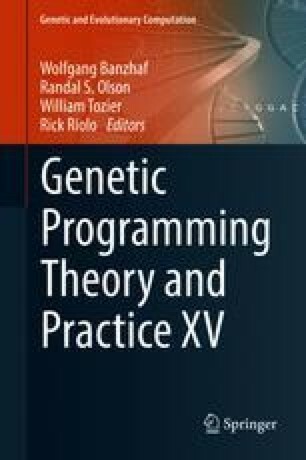 We discuss how genetic programming can aid in this endeavor, and highlight specific examples where genetic programming has automated machine learning analyses in previous projects. This work was generously funded by the Perelman School of Medicine and the University of Pennsylvania Health System. Additional funding was provided by National Institutes of Health grants AI116794, DK112217, ES013508, and TR001878.